50+ World > History & Headlines > 1945 > Were You Alive in September 1945? Were You Alive in September 1945? During WWII, Korea had been occupied by the Soviets in the north and the U. S. in the south; when the war ended, the USA and Russia divided Korea into North and South. 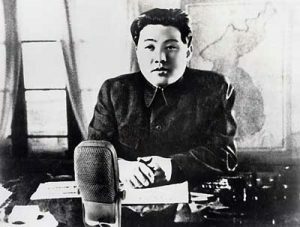 Former Korean communist guerilla fighter Kim Il-sung, who had been exiled for over 22 years in China, was returned to North Korea by the Soviets in September 1945. On September 9th 1945, Kim Il-sung (left photo: cpcml.ca) was declared the new Democratic People's Republic of Korea (North Korea) leader. 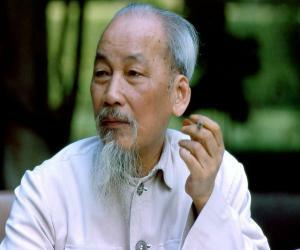 Baby boomers know that Ho Chi Minh and Kim Il-sung both lived to become octogenarian senior citizens. Ho Chi Minh died in 1969, while the Vietnam War raged on (1955-1975), and Kim Il-sung died in 1994, long after the Korean War ended (1950-1953). The RCMP finally picked Igor Gouzenko up the following day, heralding the beginning of the Cold War with the exposure of Soviet spying in Canada and the United States under the direction of Joseph Stalin. Since then, dialysis treatments have saved the lives of millions of people around the world that suffer from kidney disease, and forever changing - for the better - the lives of the emerging and now aging baby boomer population. Dr. William J. Kolff - an unsung hero of World War II - died a nonagenarian senior citizen in 2009. Were You Alive in January 1945? Were You Alive in March 1945? Were You Alive in April 1945? Were You Alive in May 1945? Were You Alive in August 1945? Were You Alive in October 1945? Were You Alive in November 1945?